On March 12, 2019, I was honored to appear before the Subcommittee on Communications, Technology, Innovation and the Internet of the Committee on Commerce, Science and Transportation of the U.S. Senate to testify on “The Impact of Broadband Investments in Rural America.” I provided my personal views, bringing the perspective of a former government official with 22 years of experience at the FCC and NTIA, with the last decade focused on the FCC’s Connect America Fund. A video of the full hearing and my written testimony are available online. My five-minute opening statement follows. As a result of the Federal Communications Commission's reforms, Universal Service Fund recipients now have enforceable requirements to meet broadband performance obligations in exchange for support. With a known cash flow for a defined period, companies will be more willing to make investments in rural America. I view the recent Phase II auction as a success. A diverse group of providers using a variety of technologies bid for support: they are promising to provide better service, for less support, than otherwise might have been the case. The FCC has adopted a regime with improved accountability and consequences for non-compliance. There may be more work to be done on the margins but big picture – we now have verification of performance and an ability to track progress in closing the digital divide. This is a massive, multi-year project, and the nation is moving in the right direction. I highlight five points for future action. First, it may make sense to discard the notion of a separate Remote Areas Fund and roll the areas that didn’t get bids in the Phase II auction into the FCC’s upcoming auction for the geographic areas now receiving Phase II support, which I’ll refer to as the Phase III auction. Effectively, the Phase II auction implemented the original vision for the Remote Areas Fund because it included the areas expected to be the most expensive to serve, with varying performance standards. Ultimately, it was the market, through competitive bidding in the Phase II auction, that determined which areas of the country would be served by alternative technologies, not government regulators. There could be efficiencies in conducting the RAF and Phase III auctions on a consolidated basis. Second, the FCC needs to recalibrate its vision for what is the minimum requirement in any future auction. 10/1 Mbps is yesterday’s technology. Raising the minimum performance standard logically would expand the geographic areas eligible for bidding in the Phase III auction. Third, efforts to develop a better understanding of fixed broadband service availability should not prevent the FCC from moving to the Phase III auction in a timely manner. Everyone wants a comprehensive national database of broadband availability that could be used by all agencies, federal and state, to make informed funding decisions. But we should not let the perfect become the enemy of the good. Rural consumers have waited long enough. It’s been more than seven years since the FCC laid out its original vision. There must be some areas of the country where it’s clear there’s no broadband provider offering service that meets the FCC’s requirements. The FCC potentially could auction those areas first using a portion of the Phase III budget, and hold a second nationwide auction later, after there’s an improved dataset of service availability. Fourth, the federal government needs to share information in near real-time – both across federal agencies, and with state and local officials engaged in similar efforts – regarding the specific geographic areas where parties have applied for funding, or where funding has been authorized, even if construction has not yet occurred. Ideally, there would be a shared standard, at least among federal agencies, for what constitutes an unsubsidized competitor. In my view, all states should provide some level of funding to supplement federal funding. Achieving universal broadband should not be the job of the federal government alone. Fifth, and finally, the current USF contributions system needs an overhaul. Parsing revenues into assessable and non-assessable buckets is like counting how many angels are dancing on the head of a pin. With modes of communications changing and business models evolving, it’s time to have a thoughtful conversation about new ways to ensure that the universal service fund remains on a solid footing. I believe that it’s appropriate for the FCC to exercise the permissive authority granted to it by Congress in section 254(d) to assess retail broadband internet access. In my opinion, it makes sense for broadband to contribute to a fund that is intended to advance the deployment of broadband infrastructure in rural America. Carol Mattey is the former Deputy Bureau Chief of the FCC’s Wireline Competition Bureau (2010–2017) and Senior Advisor on the National Broadband Plan (2009–2010), where she led teams working on the landmark Connect America Fund and other initiatives to modernize the FCC’s universal service programs. 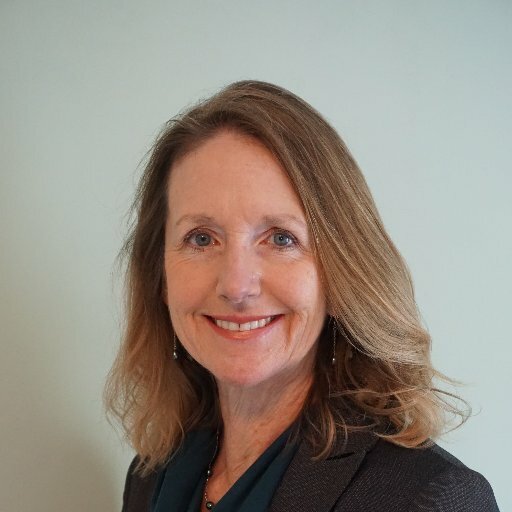 She currently is the principal of Mattey Consulting LLC, which provides strategic and public policy advisory services to broadband providers, governmental agencies, non-profit organizations, and other entities active in the telecommunications arena.